The Supreme Court on Monday issued notice to WhatsApp Inc as well as the Union Ministries of Law, Finance, and Electronics and Information Technology on a petition concerning its Payments Service. The notice was issued by a Bench comprising Justice Rohinton Nariman and Justice Indu Malhotra on a petition filed by Delhi based think tank Centre For Accountability and Systemic Change (CASC) through Advocates PK Seth and Archana Pathak Dave, and argued by Advocate Virag Gupta. CASC seeks compliance of WhatsApp with a circular issued by the Reserve Bank of India (RBI) as well as with Rule 3(11) of Information Technology (Intermediary Guidelines) Rules, 2011. The RBI circular, issued on 6 April, 2018, stipulates that in order to run a payment service in India, a company must have its offices and payments in India. This has been alleged to be violated by the instant messaging service company, considering that it is a foreign company having no offices or servers in India. Rule 3(11) of the 2011 Rules requires all intermediaries to appoint a Grievance Officer. The petition contends that despite being the largest messaging platform in India, WhatsApp remains unregulated and is being allowed to continue with its payments services and other services “without any checks”. 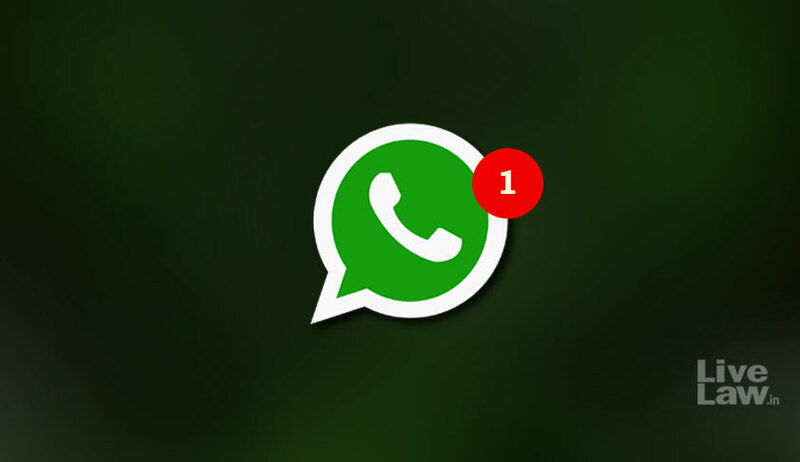 Highlighting the allegations against WhatsApp for fuelling the increased instances of lynching in the country, the petition in fact claims that the growth of rumour based crimes like lynching has been directly proportional to the growth of user base of messaging services like WhatsApp, which continue to remain unregulated. It then avers that the messaging platform must be directed to comply with the Indian law, especially by appointing a Grievance Officer who would be able to address the concerns of the consumers as well as co-ordinate with investigating agencies. With such assertions, the petition finally demands compliance of WhatsApp with Indian laws.